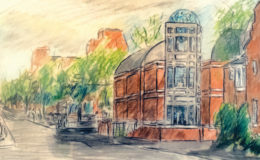 Israel Trust: Israel is essential in Harvard Hillel’s mission; we must foster firsthand ties with our Jewish homeland and shape the discourse on Israel at Harvard. Every time we spoke with someone, I could feel my perspective expanding. And as I struggled with complex issues, it was clear to me that, as a Jewish person, Israel is extremely personal for me ... Israel isn't just another country to me, and it was by grappling with Israel's hard questions that I finally understood that. [Harvard Hillel's Birthright extension] helped expose me to different perspectives that would be difficult to gain in any other way. The combination of learning about history, combined with narratives from politicians, activists, and average people, helped me get a fuller picture of the multiple directions that each issue takes. Increase the frequency of Israel programs and strategically bring leading Israelis as visitors to Harvard. Secure the Harvard College Israel Trek and grad school Treks as yearly programs. 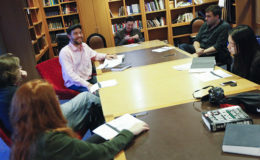 Engage Israeli Harvard students annually as paid Harvard College Israel Interns to help create and promote timely and engaging Israel-focused programming. The first Harvard Israel Conference, in 2012, saw over 600 registered participants. 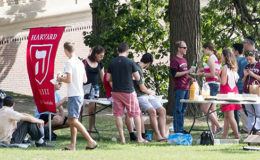 For a fourth year, over 250 students have applied for the 50 seats on the Harvard College Israel Trek, peer-led by Israeli Harvard students and planned at Harvard Hillel. As we see the rise of anti-Israel and anti-Semitic activities worldwide and on college campuses, we must ensure that the future leaders Harvard trains are exposed firsthand to Israel’s vitality. I see my students begin to realize that they, as American Jews, have an integral role to play in Israel's landscape–and that the more they seek information about what that landscape looks like, from as many perspectives as possible, the more they'll be able to play an active role in it.